As dental technology continues to advance, we believe that our patients deserve to reap the benefits of faster, more effective, and more comfortable care. At Boston Smile Center & Implant Dentistry in Brookline, MA, Dr. J. Alan Sasson utilizes the power of a highly sophisticated, water/air laser called WaterLase to give his patients the advantage when it comes to performing a variety of services. The discomfort and pain many patients associate with a traditional dental drill are actually caused by the vibration, heat, and pressure of the machine as it removes a portion of the tooth. With WaterLase, a precision laser does all the work with none of the undesirable side effects. Both soft and hard tissue (gums and tooth enamel) are meticulously manipulated by the laser with less pain, less bleeding, and fewer shots! If you’ve ever had a negative experience at the dentist’s office because of painful shots or uncomfortable drilling, you’re certainly not alone. 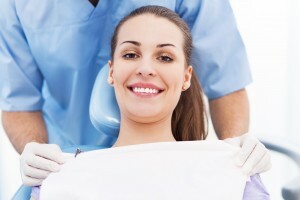 These are common fears associated with even minor dental procedures. Thanks to Dr. Sasson and BIOLASE WaterLase technology, many of the services you receive at Boston Smile Center can be performed without the injections or drilling so many patients dread. Contact our office in Brookline, MA today to find out more about how our high-tech, high-touch approach can benefit you. We also proudly serve residents of the surrounding areas, including Boston, Chelsea, Newton, Somerville, Cambridge, and more. We can’t wait to show you how pleasant visiting the dentist can be!